Strap in, everyone. We've got a lot of promos to cover, and each one of them is going to blow your mind at least a little bit. If you missed the stream on Twitch earlier introducing all of these, we've got everything you need right here. 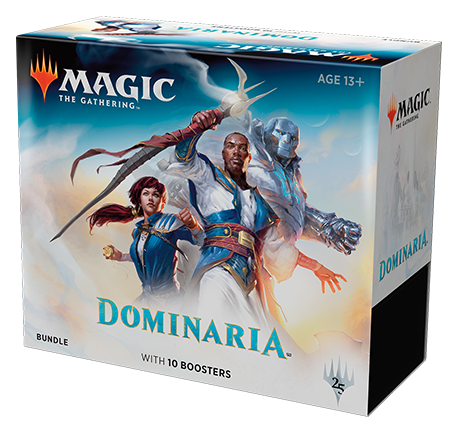 First, if you missed it yesterday, we've already shown off the Buy-a-Box promo, as well as unveiling the promotion allowing you to pick up a box of Dominaria as early as Prerelease weekend if you get your preorders in now. 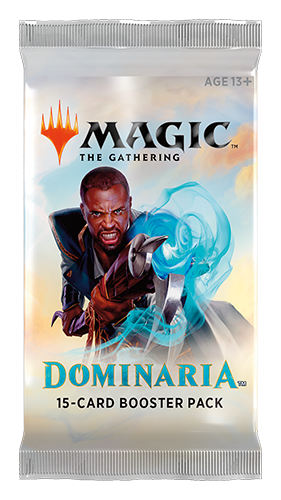 Let's start with something the community has been excited about—the return of Friday Night Magic promos! 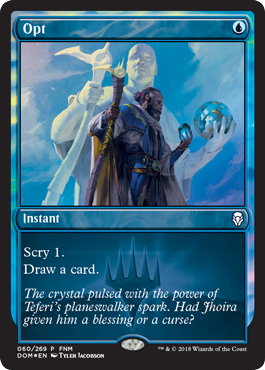 Welcome back, FNM promos! 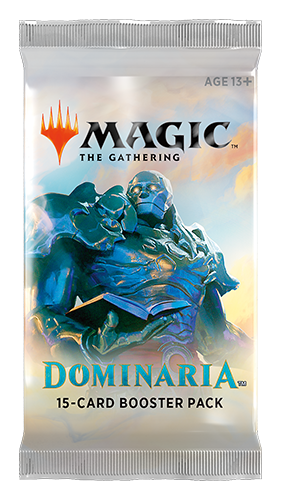 Not only have we gone back to cards, but FNM promos now have an updated, unique look. 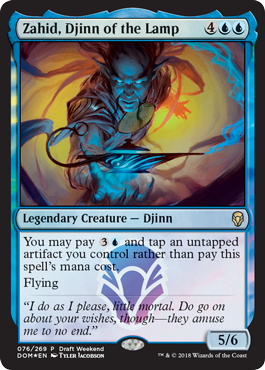 Check out the FNM Opt! 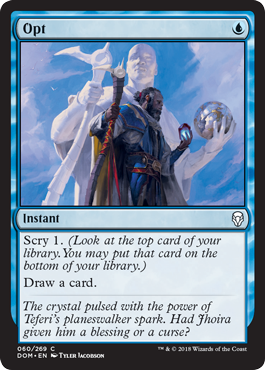 And, you might have noticed, the collector number lines up with its place in Dominaria, where it's also being printed. 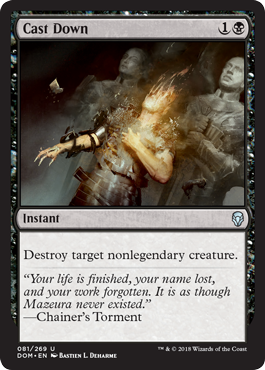 Here's the Dominaria version. 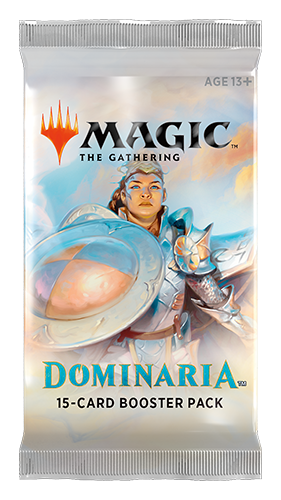 And here's the version from Dominaria. 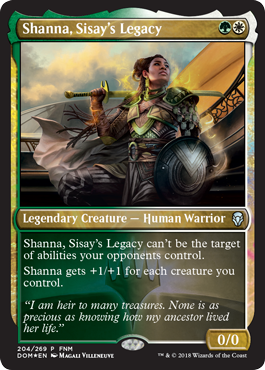 The last one I have to show you today is a creature that will shrug off any Cast Downs that might look her way, and rightfully so, given her lineage—Shanna, Sisay's Legacy! 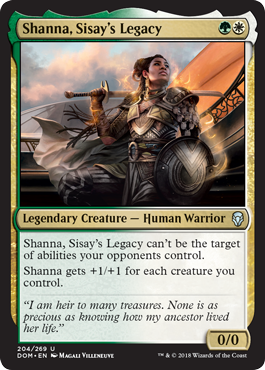 Shanna will also be appearing in Dominaria, appropriately. 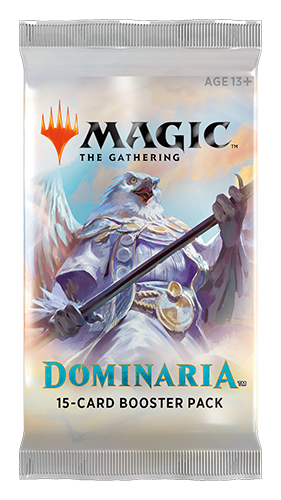 Unlike previous FNM promos that were the same promo every month, stores will have all three promos and will be able to distribute them how they see fit. 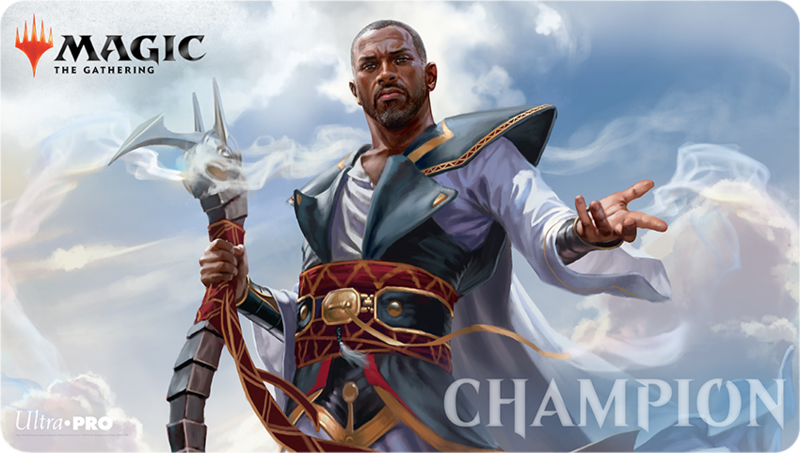 The Rivals of Ixalan Store Championship is coming the week of April 2 (check with your local store for exact dates), and it's bringing a promo and a playmat! 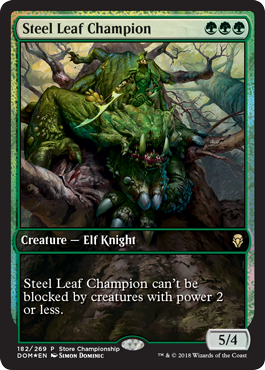 Just for participating, you can receive this super awesome version of Steel Leaf Champion! And if you win the whole thing, well, we have a special playmat just for you! 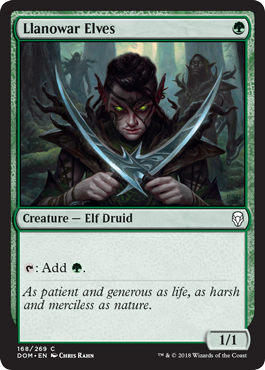 By participating in Magic Open House the weekend of April 14–15, 2018, you can take home this sure-to-be-popular version of Llanowar Elves. Welcome back, friends! 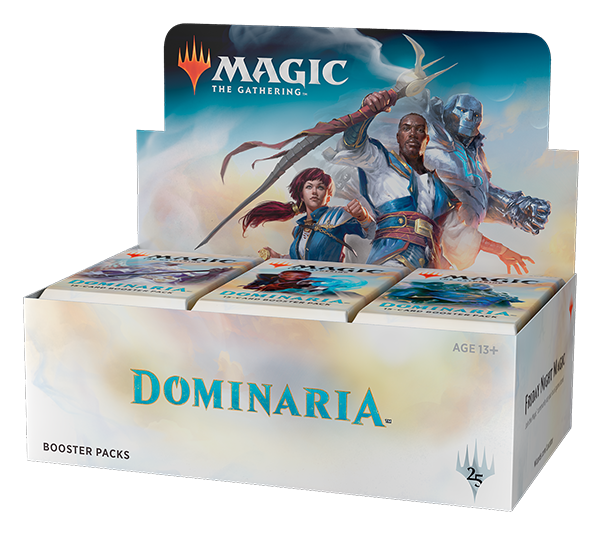 Magic League—where you start with a 30-card deck and build it pack-by-pack, week-by-week as you go along—starts April 30. Participate and you'll pick up this powerful colorless land, that just so happens to hit you right in the feels. 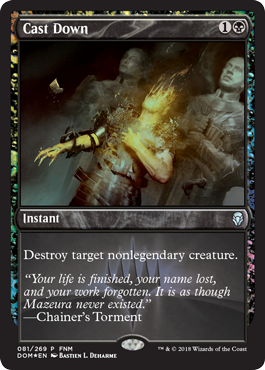 Oh, and it's not like the regular set version doesn't gut-punch you just as much. What's that? We're still not done?! There's more?! Be still my beating heart. Okay, one final promo, but certainly not the last thing we're showing off. 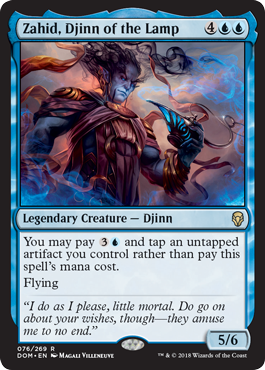 If you participate in Draft Weekend April 28–29 and, ya know, draft (that thing you were going to do anyway), you can get this promo of Zahid, Djinn of the Lamp. And, hey, Zahid looks just as terrifying in non-promo form. Last but certainly not least, we've got booster packs, booster boxes, and bundles, oh my! 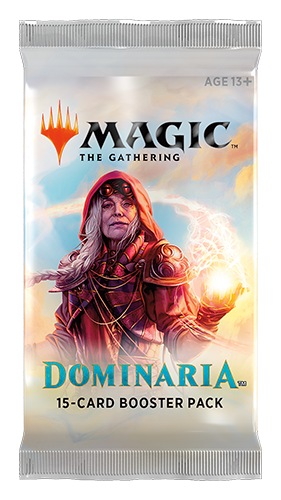 And don't forget that if you preorder a booster box now through your local game store, you can pick it up Prerelease Weekend, April 21–22! Check here for more details, or check with your local game store.